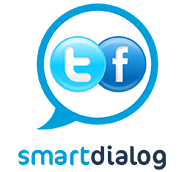 You like decorating your living room or taking relaxing baths in a comfy atmosphere? Candles are always a good idea! 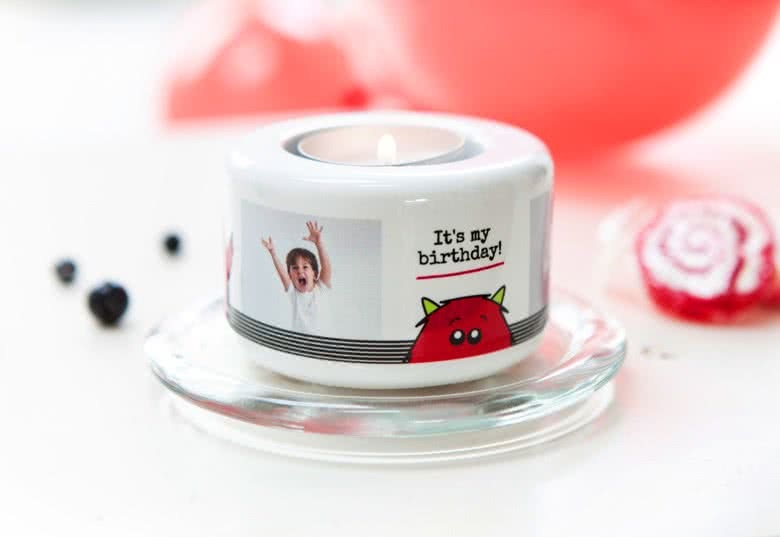 The personalised Candle holder can make your cosy moments even warmer. You can create this charming ceramic holder with your most delightful photos in a jiffy. Just choose one of our designs and adjust this to your unique taste or accommodate it to the interior of your home. You can even adjust your creation to the colour and scent of your favourite candles. What's cozier than candlelight on a stormy autumn evening or on a beautiful and late summer evening? 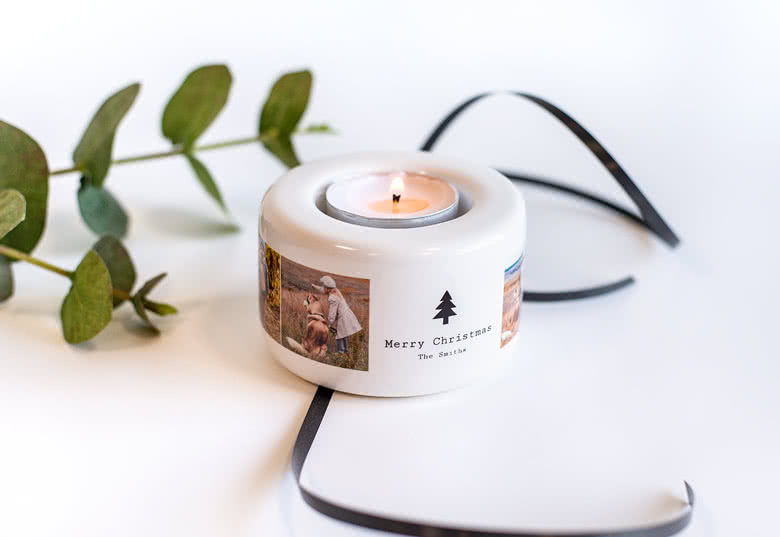 At smartphoto, you can create tealight holders with own image or print. 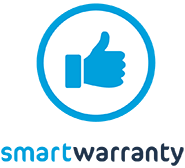 Our candle holder is made of durable ceramic and will last year after year. Why not light a candle for a loved one and think a little extra about that person? 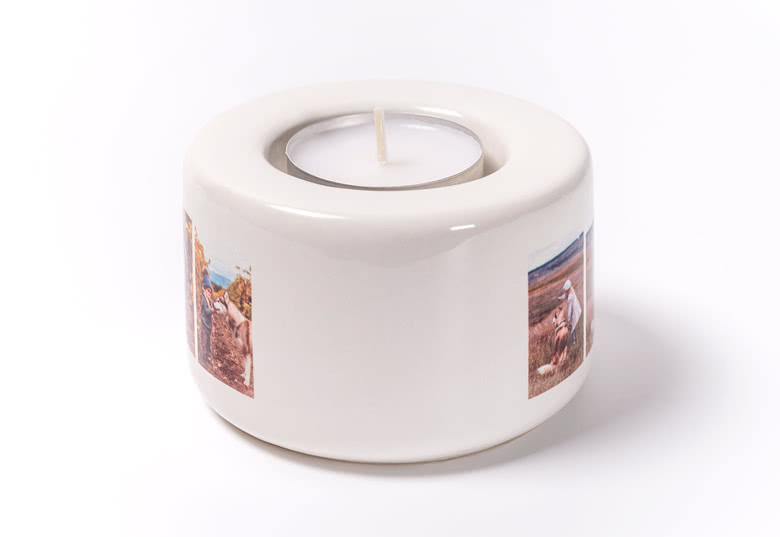 Our candle holder makes it possible to add your own picture, print or a favourite quote. The canlde holder will make a perfect Mother's Day gift! 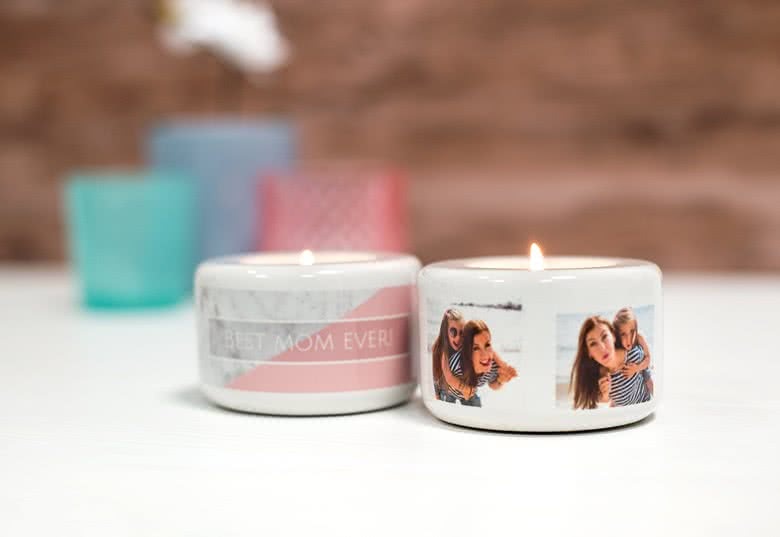 Celebrate your mum a little extra this day by adding the text "World's Best Mom" to the candle holder. 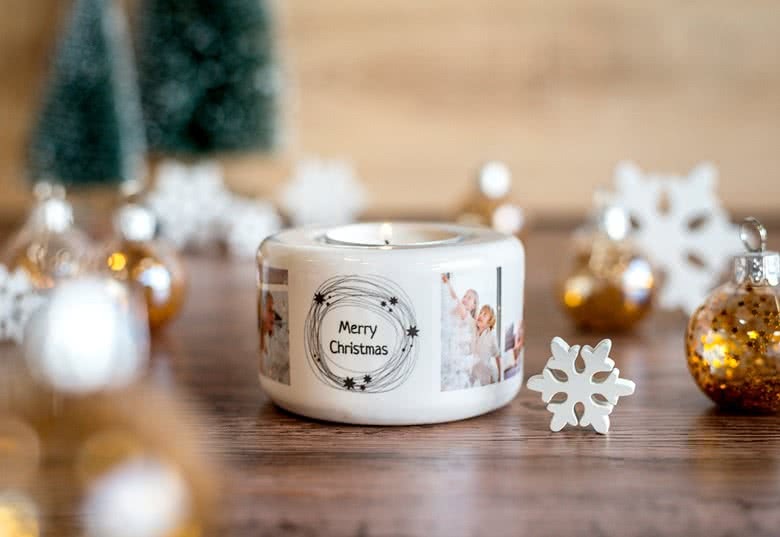 Make someone happy with a personalised tealight holder from smarphoto today.